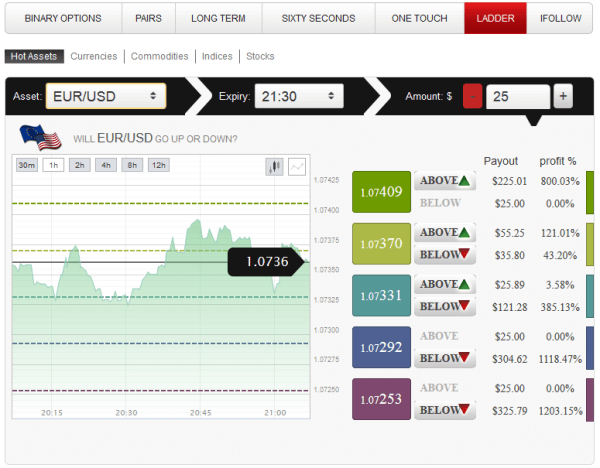 Ladder trading is a relatively new method by earning a profit from systematic multi stepped methodology. This ladder contains different rate levels to select a below or above option, you have to guess that the current rate will go above or below the selected option on the ladder. For applying a trade you have to choose the amount, closing time and one level on the ladder which already has a target rate: the other steps of the ladder contain rates from equal intervals. The final result on the time of closing the trade determines the amount of earned profit. It may be varying according to the selected option; means the percentage of profit is not same on choosing above or below option, or either step of the ladder. The more an option seems impossible or risky; the highest percentage of profit is committed at the start of the trade. We can also say that higher the level of risk, higher the percentage of profit. This option can also be sold before the time of closing; however most of the time the returned amount is less than the invested amount. Thus this option can only be availed in case of obvious loss, when you make an attempt to save at least some percentage of the amount instead of losing the entire invested amount. 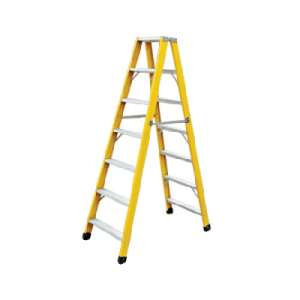 Another thing about selling the ladder option is that you have to make a sell decision at least 5 minutes before the closing time; after that selling the trade is not permitted. Ladder trading has the highest payout percentage; however before opening a trade, you need to observe the trend carefully. You can open more than one trade at the same time and the same asset. The amount of risk in this kind of trading is the very low, through a little observation you can earn something; though a small amount in some cases, but at least not the total loss. Appropriate judgment counts a lot; unless you have a good observation about the market, don’t go for the bigger amounts to invest. New traders should not go for a risky option; the option which has minimum risk involved will generate less profit but will be most obvious; no loss of trading amount. Although the above recommendation is for the beginners, however, this option is not recommended for them, because this kind of trade is rather complicated business, it demands thorough understanding of the market.